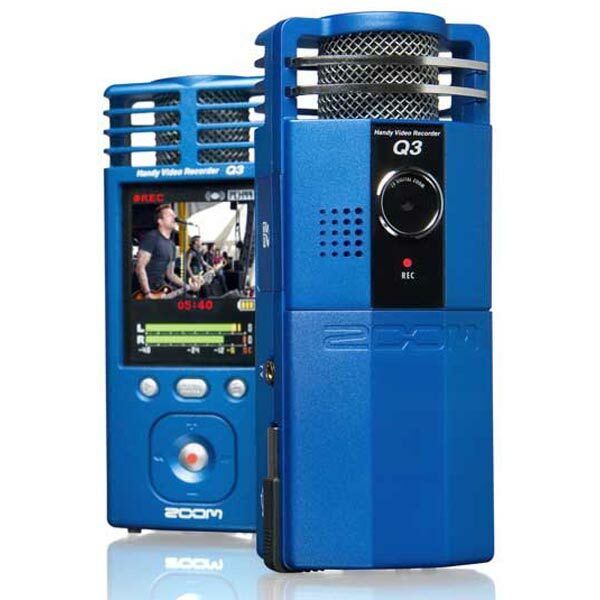 Zoom, who are well known for making quality audio recorders have just launched a pocket camcorder with built in high quality sound recording, the Zoom Q3 Pocket Camcorder. 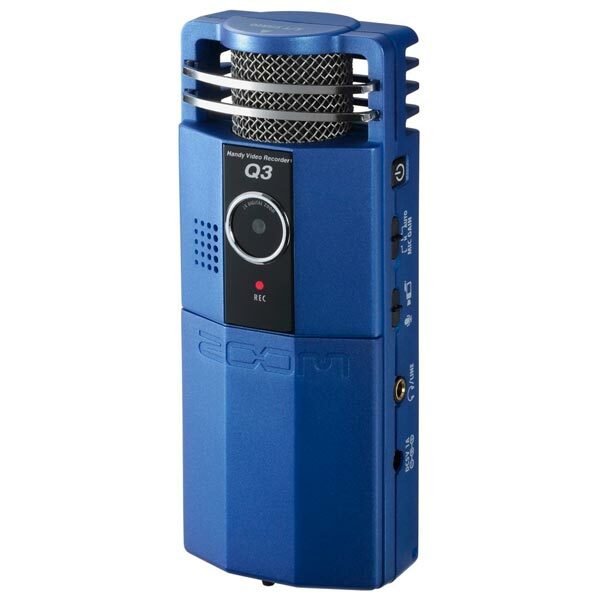 The Zoom Q3 Pocket Camcorder features built in stereo condenser microphones with X/Y configuration for stereo imaging, it also has a 2.4 inch LCD display with a resolution of 320 x 240. It can record video at 640 x 480 at 30fps in MPEG-4, and connects to your PC via USB, it comes with a 2GB SD card, and the storage can be expanded up to 32GB via an SDHC card which will give you around 16 hours of recording. The Zoom Q3 Pocket Camcorder will go on sale shortly for around $249.